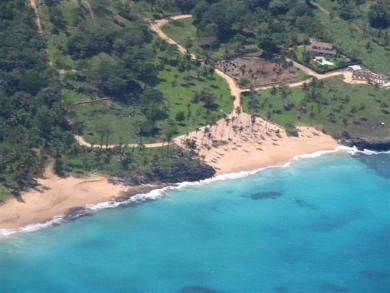 Located on one of the most beautiful beaches in the Dominican Republic, this building lot located in a private gated community is a very unique purchase offering privacy and seclusion. Nestled between Plaza Rincon and Las Galeras, this building lot is the only remaining oceanfront home lots for sale in the immediate area within a gated community and offers spectacular views across to the national park and over the crystal blue waters of Las Galeras. Priced at Euros 115 per m2 for a quick sale.